BBS provides various financial advisory services to help new businesses get financing for their ongoing operations and purchasing needs and to manage or restructure existing indebtedness. Securing the appropriate financing can be one of the easiest and most affordable ways for your company to acquire the products and services you need, when you need them. Financing can significantly improve your company’s ability to forecast and budget effectively, and thereby increase the predictability of your budgets. Lines of credit and long term financing can provide the flexibility to structure payments over multiple-year operating or capital budgets, allowing you to align your payments for budgeted item to the benefits that you expect to derive from your cash investments. Strategically structured funding can allow you reduce your upfront cash requirements, overcome short term budget constraints, conserve capital and preserve your short-term operating credit lines. Getting the right type of debt, the right amount of debt, and the right terms and conditions for your debt can allow you to optimize you capital structure and improve your overall return on invested capital. 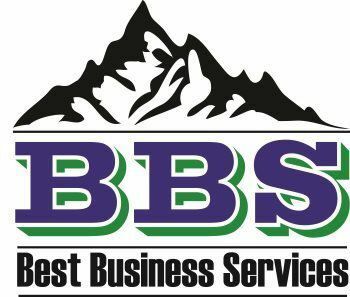 BBS has relationships with many different types of lenders and will help you to find the right financial partners to get you the credit and other financial services that you need. Our lenders offer quick approvals and simple documentation, so you can get the funding you need today. Your business does not need to delay or defer growth by postponing important investments in technology, equipment, or office space, BBS can help you find the capital you need with the right payment plans to match with your ongoing profitability and cash flow. The professionals at BBS can help you negotiate with and solve problems with existing lenders or with your existing debt and get your company back on the right track.